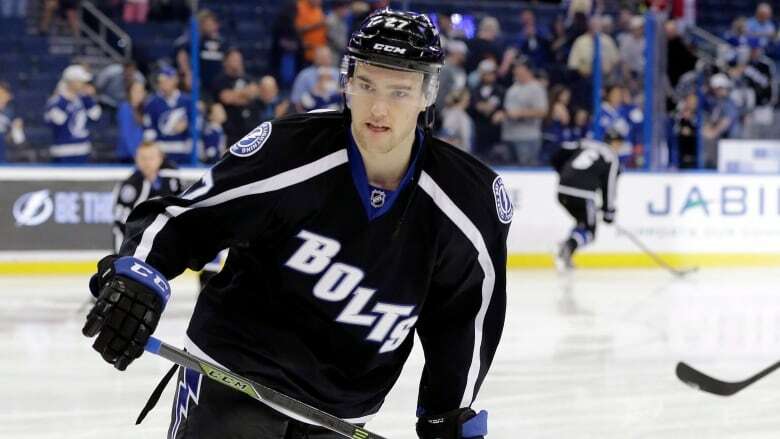 The Tampa Bay Lightning said Thursday they have recalled Jonathan Drouin, bringing the young forward back to the NHL following a series of missteps that landed him in the minor leagues. Drouin, 21, has butted heads with Lightning management all season. The third overall pick in the 2013 NHL draft asked to be traded in early November, and was unhappy over being demoted to the minors in January. Drouin was suspended indefinitely in January for leaving the Syracuse Crunch of the American Hockey League, where he'd been assigned, after his agent went public with the trade request. After returning to the Crunch on March 7, he received a one-game suspension for missing a team meeting. Drouin reportedly apologized to the team and blamed his failure to show up on an issue with his alarm clock. Tampa Bay general manager Steve Yzerman didn't close the door on Drouin's rejoining the Lightning before the end of the regular season, calling it a "very realistic" possibility. Drouin helped his case by producing in Syracuse, where he scored 11 goals, including five on the power play, in only 17 games. Tampa Bay's power play ranks 26th in the 30-team NHL, and the defending Eastern Conference champions have been without star forward Steven Stamkos (blood clot) and defenceman Anton Stralman (broken leg) as the playoffs approach. Drouin has six goals and 34 assists in 89 NHL regular-season games. In the Quebec Major Junior Hockey League, he had 77 goals and 242 points in 128 games.